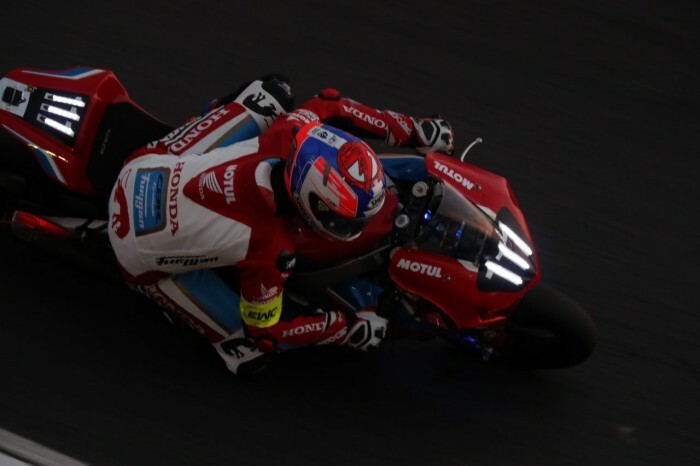 Lincolnshire-based Honda Racing’s ninth place in the 2018 Suzuka Eight-Hours was enough to secure the squad third overall in the World Endurance standings. The team drafted in former MotoGP star Yonny Hernandez for the Japan race, and he started the race, taking the wet conditions in his stride and worked through the field and into 11th position. Working in rotation across the race Hernandez, along with Honda’s endurance regulars Sébastien Gimbert and Erwan Nigon, all masterfully handled the CBR in the challenging conditions, where race strategy played such a huge part with the changing weather. Pushing hard and completing 194 laps, in a highly competitive race, the Honda Endurance Racing team crossed the line in ninth place and were the third European team to finish within their usual EWC rivals. “At the start we weren’t sure whether to go out on slicks or wets, or what to do really and it continued that way throughout the race, with the rain always threatening. We spent most of the race crunching numbers, working on the strategy and options should different things happen, and it worked out well for us,” said team boss Johnny Twelvetrees. “I think that perhaps we could have pushed on a little more and fought for eighth maybe, but some things didn’t quite go our way. The Fireblade was great throughout the whole race and really strong, the guys pushed hard and to finish ninth at Suzuka, which is one of the hardest and highly competitive races in the world. “We also take third place in the FIM Endurance World Championship, which is just fantastic and the only way now for us is to move forward. I’d like to thank the whole team who have worked so hard this year, it’s not been easy at times but they’ve all shown great teamwork and worked extremely hard to get us to where we are today.